Lets celebrate the release of Mary Poppins Returns DVD/Blu-ray release. 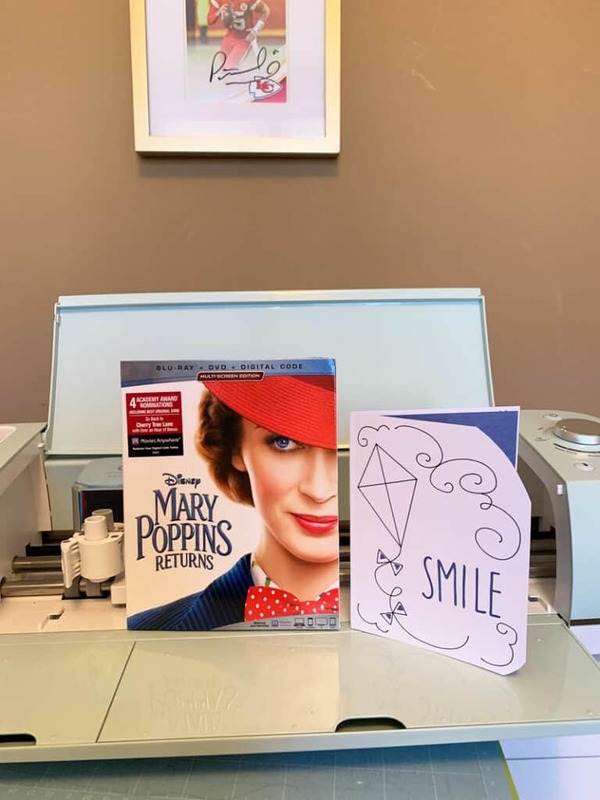 Create a customizes free card using your Cricut for a fun Mary Poppins Returns Craft! Disney provided me with a free press copy of the movie to share about the release! If you have seen Mary Poppins Returns, you are going to know that it was really well created and just an overall great movie. There is something great about seeing Mary Poppins, a wonderful superhero like childhood star, come back. Since I attended the Red Carpet Premiere, the movie means more to me because of the experiences that I am humbled to have been a part of. I used my Cricut cutting machine to create this craft. The best part of this card with the Kite is the free Smile Card is a free print and cut from Cricut. When you get a free print and cut you can customize it. If you aren’t familiar with a Cricut, I have created a lot of crafts using mine. I have made hair bows, cards, shirts, and more as a fun creative outlet and my favorite way to personalize gifts for others. 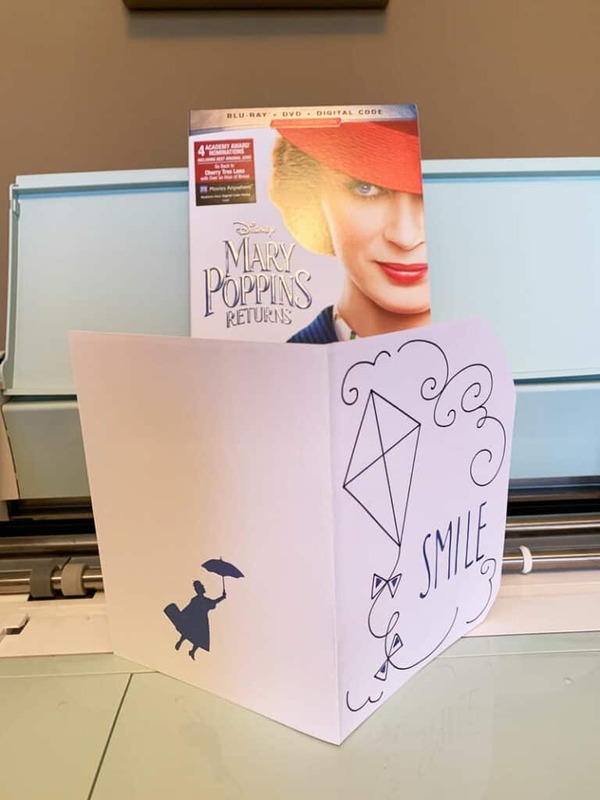 So when it comes to movies….the idea of creating a cute craft and card that my daughter can even color before watching the movie, makes my heart happy! Read our story about Cricut for Beginners. First, start off my opening up the free card from Cricut. Then, you will want to upload a Mary Poppins silhouette picture to your card. Disney has some free Mary Poppins Returns coloring pages where I was able to select and create a Mary Poppins Returns PNG. 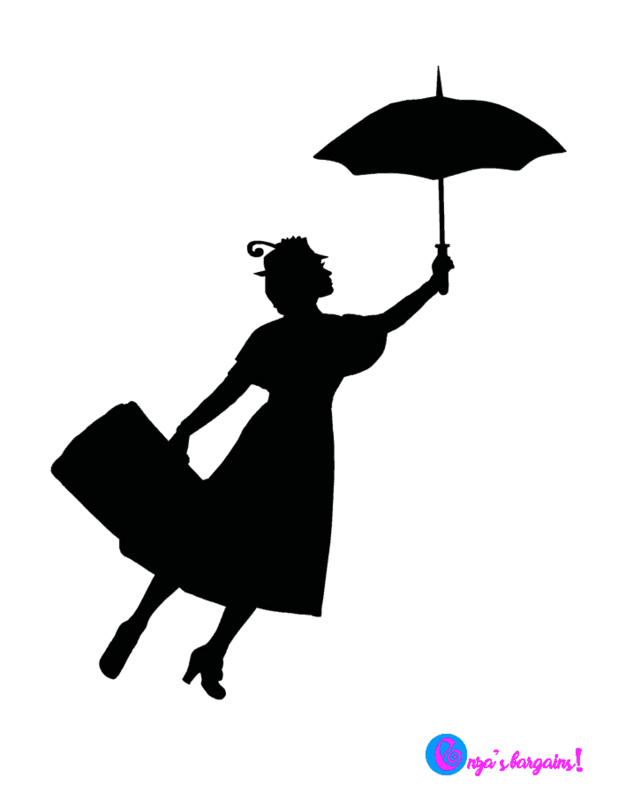 After you have uploaded and placed the PNG image, weld, attach, and then cut the Mary Poppins Returns silhouette. 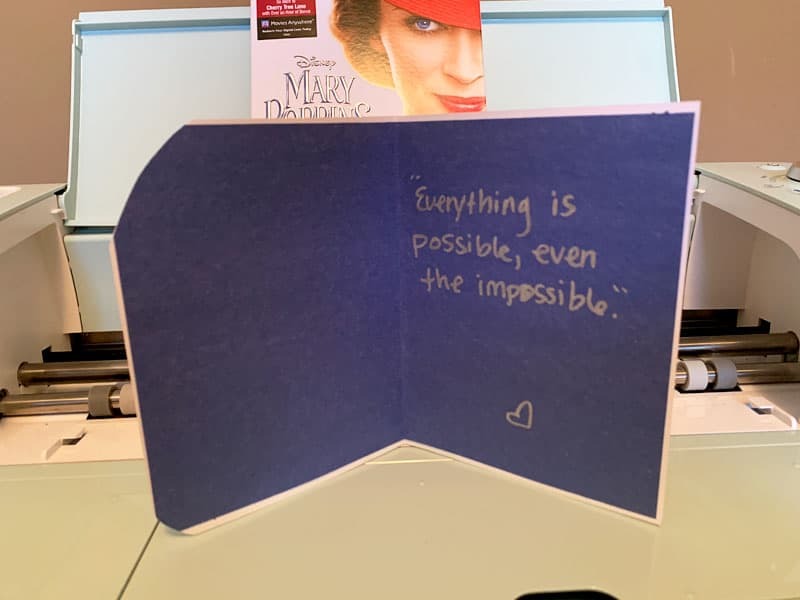 After I print and cut my adorable Mary Poppins Returns card, I picked out my favorite Mary Poppins Returns Quote to add to the inside to give my daughter the card. 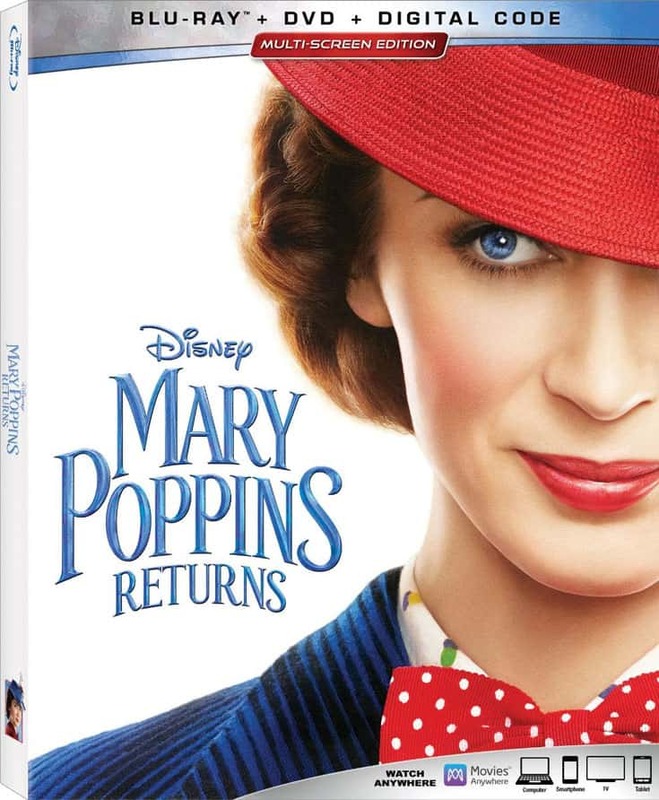 Mary Poppins Returns Blu-ray and DVD is now available for purchase! You can check out our movie review but also the movie was up for 4 Academy Award nominations and over an hour of bonus material. The DVD/Blu-ray includes deleted scenes, bloopers, and more! Thanks for sharing this cute craft idea. These look like really fun crafts Mary Poppins was a classic movie. Our girls loved this movie. They saw it a couple of times.